A study conducted in the SADC region indicates that Non-Tariff Barriers (NTBs) reported through the monitoring mechanism affect products that jointly account for about E42 billion or one fifth of regional trade. 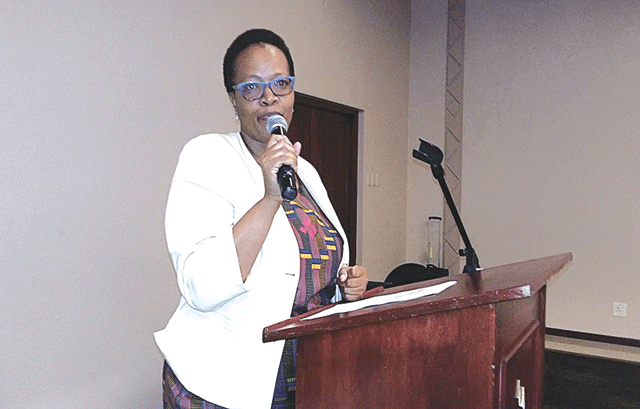 This was revealed by Acting Director International Trade Portia Dlamini, who represented Principal Secretary in the Ministry of Commerce, Industry and Trade Siboniso Nkambule during the opening of the Tripartite NTBs Reporting, Monitoring & Eliminating Mechanism training workshop held at the Royal Villas at Ezulwini yesterday. The PS said such figures should not be taken lightly as a region and should be eliminated completely. He said it was worth mentioning that most African regional integration endeavours, including SADC have, as a rule, focussed mainly on trade in goods with much emphasis on preferential tariffs and tariff phase-down schedules. He said although tariffs were an important barrier to intra-regional trade, evidence suggested that various other barriers, including inefficient and time-consuming border procedures, are more serious constraints on intra-regional trade than tariffs. “A variety of border and beyond-the-border constraints, including cumbersome and ineffective customs documentation and border procedures, export taxes, quantitative restrictions and inefficiencies in transport and logistics, raise the cost of doing business. Many southern African countries are landlocked, making road and rail networks very important in linking them to both regional and global markets. “In order for regional trade agreements to be effective, it is critical that intra-regional trade be able to move without hinderance. Evidence has also shown that poorly-designed technical regulations and standards limit consumer choice and hamper trade. Sanitary and phytosanitary measures have also been used as barriers to trade,” he said. He said it was for this reason that the kingdom of eswatini fully supported the tripartite online NTBs reporting, monitoring and eliminating initiative. “We strongly believe the efficient use of this mechanism has the potential to benefit all role players, including governments, the private sector (both bigger players and SMMEs) and consumers. “Eliminating NTBS in the tripartite region will also contribute significantly to the formation of regionally integrated industries and supply chains, while increasing the competitiveness of producers. The objective of the SADC industrialisation agenda will also be achieved,” he said.